Sept. 22, 2014 + + + Siemens executes on its Vision 2020 with a decisive move to strengthen its core. The company has entered into an agreement with Dresser-Rand (NYSE:DRC), which is listed on the New York Stock Exchange, to acquire all of the issued and outstanding common shares of Dresser-Rand by way of a friendly takeover bid. Siemens' bid is unanimously supported by Dresser-Rand's Board of Directors. The offer price is $83 per common share in cash, or a total transaction value of approximately $7.6 billion (approximately €5.8 billion). With its comprehensive portfolio of compressors, steam turbines, gas turbines and engines, Dresser-Rand is a leading supplier for the oil & gas, process, power and other industries in the related energy infrastructure markets worldwide. The acquisition complements Siemens' existing offerings, notably for the global oil & gas industry and for distributed power generation. "As the premium brand in the global energy infrastructure markets, Dresser-Rand is a perfect fit for the Siemens portfolio. The combined activities will create a world-class provider for the growing oil & gas markets. 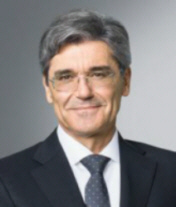 With this, Dresser-Rand will become 'The oil and gas' company within Siemens and fit right into our Siemens Vision 2020," said Joe Kaeser, President and CEO of Siemens AG. Dresser-Rand's Board of Directors has unanimously recommended the offer to Dresser-Rand's shareholders. Siemens expects to close the transaction by summer 2015. Dresser-Rand's product portfolio completes Siemens' offerings with compressors and turbines. Applications covered are high-pressure field injection and oil recovery, gas liquefaction, gas transmission and refinery processes. Additionally, Dresser-Rand offers further technologies for distributed power generation such as reciprocating engines as drives for compressors and power generation, micro LNG solutions. This complements Siemens' offerings strengths in turbo compressors, downstream and industrial applications and in larger-sized steam turbines. Siemens plans to realize more than €150 million in annual synergies by 2019 as a result of the transaction. According to Vincent R. Volpe Jr., CEO and President of Dresser-Rand, "Given the vision Siemens has for Dresser-Rand as its oil & gas company, and its expressed wishes to build Dresser-Rand's product and service portfolio with some of the existing Siemens offerings that have previously been marketed separately into the oil & gas space, it is clear that this is a transaction that should create value for clients, as well as for both sets of shareholders, that would not have otherwise been achieved had Dresser-Rand not become part of the Siemens group. Simply stated, we see this as a unique opportunity to better serve our clients, employees and shareholders and are pleased to have Dresser-Rand placed in the central role for Siemens as it develops its position in oil & gas." "Our aim is to become the leading rotating equipment and process system integrator for the oil & gas industry. Dresser-Rand has strong presence in oil and gas, a reputation for technology leadership and innovation, and a talented and experienced leadership team. 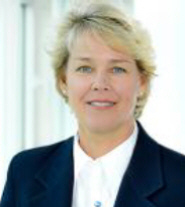 Our intention is to leverage these strengths by maintaining the existing company and brand name and selectively moving complementary products and services from the existing Siemens portfolio into Dresser-Rand enabling us to offer a much broader range of products, services and solutions to meet our customers' needs," said Lisa Davis, member of the Managing Board of Siemens AG.